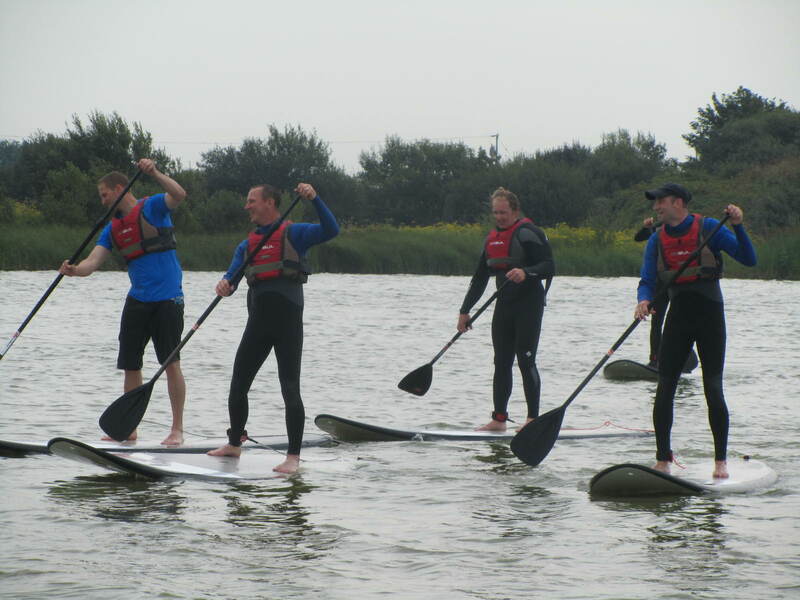 Hen & Stag events, parties and corporate team building days can be booked at our superb lake location between Rye and Camber Sands, just one hour from South East London on the Kent and Sussex border. Here we don’t have to worry about rough seas or tide as our lake based activities can always go ahead. 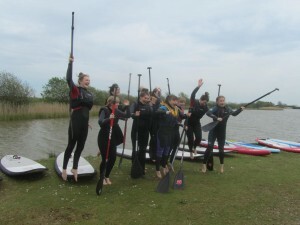 Enjoy a fantastic hen or stag party with us on our beautiful lake near Camber Sands in Sussex. 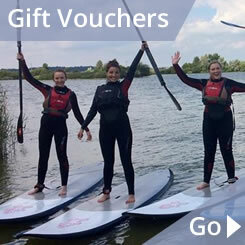 You can windsurf, sail or paddleboard for we will tailor your day to exactly how you want it, whether it’s a full on challenge or just a day of having fun on the water. Our on site ‘Hoolie Cafe’ is happy to provide delicious food for your event just call for more details. Group sessions are normally run as a four hour block with a break for lunch, but if time is limited a two hour a.m. or p.m. session is available. 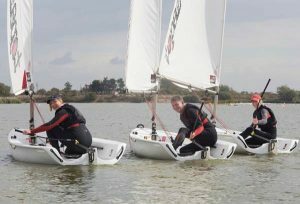 All our instructors are either BKSA, RYA, or BSUPA qualified so you will get a good introduction into the activities you have a go at as well as a super fun day out. 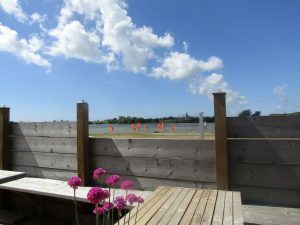 There is a lovely decking area to chill out after your party, looking across the lake to Rye, where you can have an after session celebration. 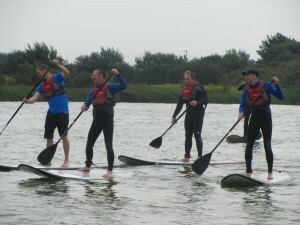 Choose any of the watersports on offer but it is often more exciting to combine several.